Home > Products > Ten Strawberry Street Round Gold Lacquer Charger Plate 13"
Set an eye-catching, upscale table with the Ten Strawberry Street Lacquer Round Gold Charger Plate 13". 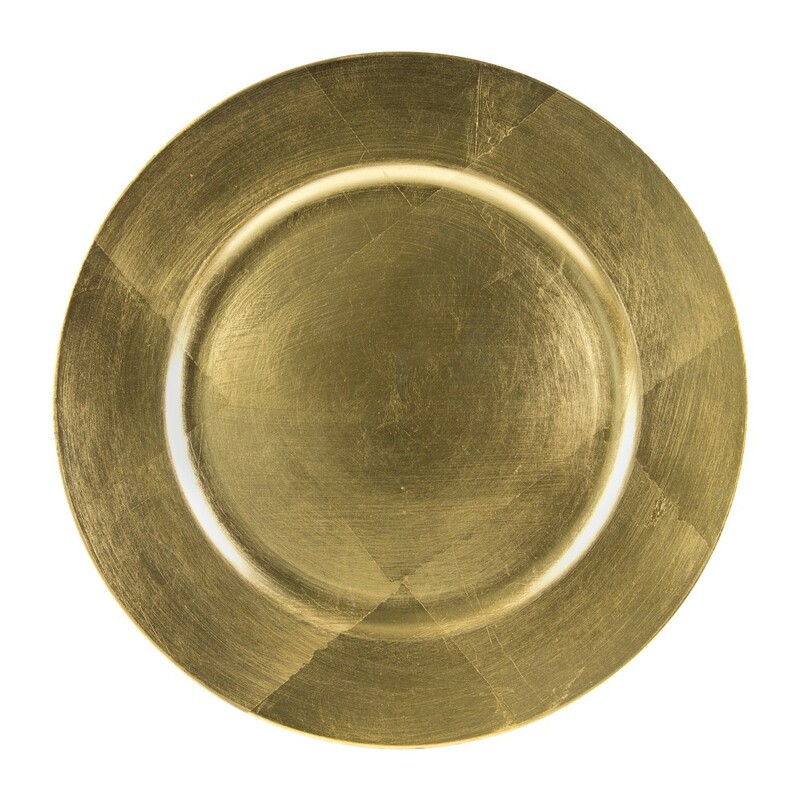 Present salads, appetizers, and entrees on top of this charger plate with a simple, rustic, textured design, it is perfect for use beneath plates, platters, and bowls. Made from high quality lacquer, this charger plate boasts superior craftsmanship for unparalleled durability and longevity. This charger plate not only complements any high-end table setting but also protects against spills and mess that might otherwise stain your tablecloth.